Ivorian international, Gervais Yao Kouassi, better known as Gervinho has been named for the BBC African Footballer of the Year 2014. The current Roma player has been one of the more dynamic and impressive players in 2014 and it was no surprised that his named made the list of nominees for this award. 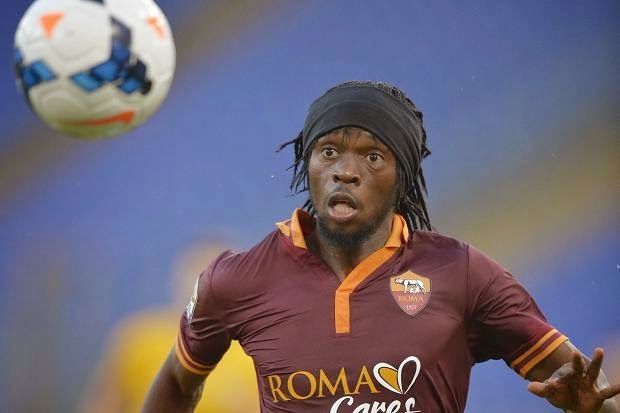 While his popularity grows there are still some facts about Gervinho that are not as well known to the public, and I have looked at the five most interesting and less known facts about Gervinho to share with our FootyFair readers. Gervinho started his career with ASEC Abidjan youth academy in Ivory Coast. That was the place where he earned his nickname of Gervinho. There was a Brazilian coaching working at the academy that gave him the nickname of Gervinho which is a derivation on his real name, Gervais. He was the captain of the Ivory Coast U21 team. Before moving to the senior squad in November of 2007, Gervinho was the captain of his U21 national team. After joining Arsenal in the Premier League he made his debut against Newcastle United, but it wasn’t the debut he hoped for. He was red carded mid match for slapping Joey Barton. The game ended in 0-0 draw and Gervinho earned himself a three match ban.